Below you fill find all funeral homes and cemeteries in or near Apollo. 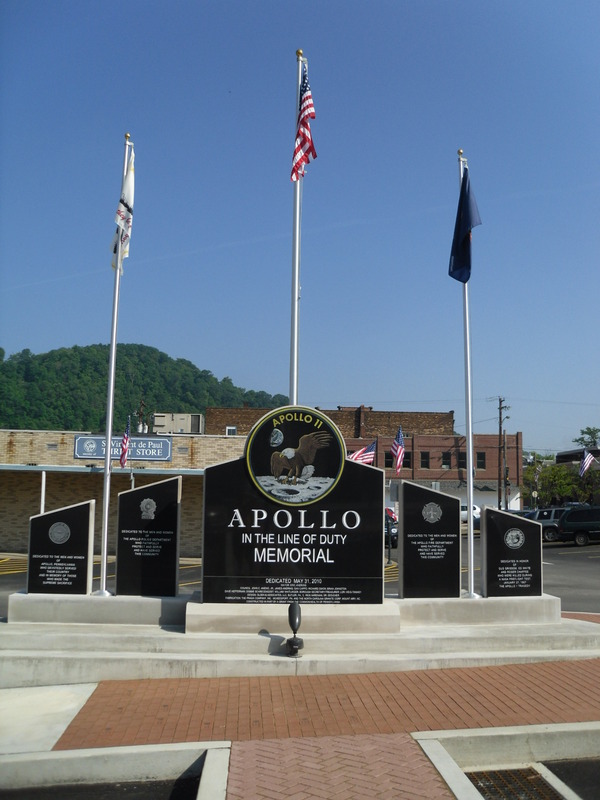 Apollo is also known as: Armstrong County / Apollo borough. Their current mayor is Mayor Rich Dixon. Zip codes in the city: 15613. Some of the notable people born here have been: (ryan hemphill), and (c. doyle steele). Apollo is a borough in Armstrong County, Pennsylvania, United States, 35 miles (56 km) northeast of Pittsburgh in a former coal-mining region. Apollo was settled in 1790, laid out in 1816, and incorporated as a borough in 1848. The town was originally known as "Warren" but was renamed in 1848 to avoid confusion with the post office of another town in Pennsylvania of the same name.The population was 1,647 at the 2010 census. It was written by Hickory Record on March 4th, 2015 that Dorothy Esther Lassinger (Roberts) died in Claremont, North Carolina. Ms. Lassinger was 93 years old and was born in Apollo, PA. Send flowers to share your condolences and honor Dorothy Esther's life. It was written by Star Beacon on February 2nd, 2015 that Joseph G Steighner passed away in Jefferson, Ohio. Steighner was 79 years old and was born in Apollo, PA. Send flowers to share your condolences and honor Joseph G's life. It was revealed by The Times Record on December 22nd, 2014 that Barbara A Gordon (Mangiaficio) died in Wiscasset, Maine. Ms. Gordon was 63 years old and was born in Apollo, PA. Send flowers to share your condolences and honor Barbara A's life. It was disclosed on July 16th, 2014 that John Paul Jr "Jack" Clements died in Huntersville, North Carolina. Clements was 86 years old and was born in Apollo, PA. Send flowers to share your condolences and honor John Paul Jr "Jack"'s life. It was noted on June 18th, 2014 that Dorothy A "Dottie" Zett (Skrot) passed on in Elyria, Ohio. Send flowers to express your sorrow and honor Dorothy A "Dottie"'s life. It was reported by Frederick News-Post on April 11th, 2013 that James E Spahr died in Thurmont, Maryland. Spahr was 80 years old and was born in Apollo, PA. Send flowers to express your sorrow and honor James E's life. It was reported by Arizona Republic on August 15th, 2012 that Roberta "Bobby" Dale (King) perished in Arizona. Ms. Dale was 78 years old and was born in Apollo, PA. Send flowers to share your condolences and honor Roberta "Bobby"'s life. It was disclosed by Sarasota Herald-Tribune on August 10th, 2012 that Inez Roediger (Morotti) died in Sarasota, Florida. Ms. Roediger was 99 years old and was born in Apollo, PA. Send flowers to share your condolences and honor Inez's life. It was revealed by Penn-Franklin News on March 7th, 2012 that Helen L Watterson perished in Apollo, Pennsylvania. Watterson was 83 years old. Send flowers to share your condolences and honor Helen L's life. It was revealed by Steubenville Herald-Star on February 24th, 2012 that Mary Annabelle Hayward (Coulter) died in Wintersville, Ohio. Ms. Hayward was 93 years old and was born in Apollo, PA. Send flowers to express your sympathy and honor Mary Annabelle's life. Apollo is a borough in Armstrong County, Pennsylvania County, Pennsylvania, United States, 25 miles (40 km) northeast of Pittsburgh in a former coal-mining region. Apollo was settled in 1790, laid out in 1816, and incorporated as a borough in 1848. [http://www.apollotrust.com/pages/community.html]. The town was originally known as 'Warren', but was later renamed to avoid confusion with another town in Pennsylvania of the same name. . The official website for the city of Apollo is http://www.apollopa.org. Listing all funeral homes in Apollo, Pennsylvania so you can easily send flowers to any location (same day delivery) or find any funeral service. Find crematories & Crematories in Apollo, PA. Read business reviews, find driving directions, and more. crematories on YP.COM. Find embalmers & Embalmers in Apollo, PA. Read business reviews, find driving directions, and more. embalmers on YP.COM. We work with local florists and flower shops to offer same day delivery. You will find budget sympathy flowers in Apollo here. Our funeral flowers are cheap in price but not in value.